The Student Birthdays tool in ClassJuggler makes it super-easy to honor that most important of dates in the lives of your individual students: their birthday! With ClassJuggler, you need never forget. But how about a way to easily send a special birthday email to your students whose birthdays are coming up? No problem! Here’s how. This entry was posted in Cheer ClassJuggler, ClassJuggler Dance, ClassJuggler Dojo, ClassJuggler Fitness, ClassJuggler for Franchises, ClassJuggler K-12, Music ClassJuggler, Swim ClassJuggler on July 22, 2016 by classjuggler. Do you have a specific Student group in which you want the registrations to all expire on the same day? Or maybe you want to manually expire all your registrations just before or after your summer sessions. Then it’s time to use your ClassJuggler Registration Manager tool, which allows you to easily mass-expire your student registrations. 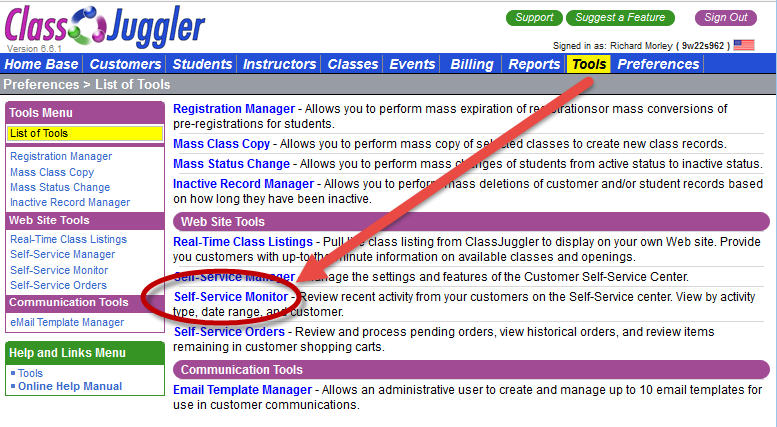 From the Registration Manager screen, you can select a specific end date and a student group. Enter a registration cutoff end date and use the selector to select a group of students you wish to expire registrations. This entry was posted in Cheer ClassJuggler, ClassJuggler Dance, ClassJuggler Dojo, ClassJuggler Fitness, ClassJuggler for Franchises, ClassJuggler K-12, Music ClassJuggler, Product Info, Swim ClassJuggler on July 20, 2016 by classjuggler.